When Liz Tidyman’s elderly parents moved across the country to be closer to their children and grandchildren years ago, they carried their medical records with them in a couple of brown cardboard folders tied with string. Two days after their arrival, Tidyman’s father fell, which hadn’t happened before, and he went to a hospital for an evaluation. In the waiting room, Tidyman opened the folder. “Very soon I saw that there were pages and pages of notes that referred to a different person with the same name—a person whose medical conditions were much more complicated and numerous than my father’s,” she said. Tidyman pulled out sheets with mistaken information and made a mental note to always check records in the future. “That was a wake-up call,” she said. Older adults have cause to be careful about what’s in their medical records. Although definitive data aren’t available, the Office of the National Coordinator for Health Information Technology estimates that nearly 1 in 10 people who access records online end up requesting that they be corrected for a variety of reasons. When both his new primary care physician and cardiologist asked about kidney cancer—a condition he didn’t have—Tidyman reviewed materials from her father’s emergency room visit. There, she saw that “renal cell carcinoma” (kidney cancer) was listed instead of “basal cell carcinoma” (skin cancer)—an illness her father had mentioned while describing his medical history. “It was a transcription error; something we clearly had to fix,” Tidyman said. Omissions from medical records—allergies that aren’t noted, lab results that aren’t recorded, medications that aren’t listed—can be equally devastating. Susan Sheridan discovered this nearly 20 years ago after her husband, Pat, had surgery to remove a mass in his neck. A hospital pathology report identified synovial cell sarcoma, a type of cancer, but somehow the report didn’t reach his neurosurgeon. Instead, the surgeon reassured the couple that the tumor was benign. Six months later, when Pat returned to the hospital in distress, this error of omission was discovered. By then, Pat’s untreated cancer had metastasized to his spinal canal. He died two-and-a-half years later. “I tell people, ‘Collect all your medical records, no matter what’ so you can ask all kinds of questions and be on the alert for errors,” said Sheridan, director of patient engagement with the Society to Improve Diagnosis in Medicine. In less dire scenarios, a patient’s name, address, phone number, or personal contacts may be incorrect, making it difficult to reach someone in the event of an emergency or causing a bill to be sent to the wrong location. Or, your family history may not be conveyed accurately. Or, you may not have received a service recorded in your record—for instance, a stress test—and want to contest the bill. Dave deBronkart, a 68-year-old cancer survivor and patient activist, recounts mistakes he and his family have experienced. Once, he checked a radiology report through a Boston hospital’s patient portal. It had his name on it but identified him as a 53-year-old woman. In another instance, the records that accompanied deBronkart’s mother to a rehabilitation center after a hip replacement incorrectly identified her as having an underactive thyroid when in fact she had an overactive thyroid. DeBronkart’s sisters, who asked to look at their mother’s chart, discovered the mistake and had it fixed on the spot, so she wouldn’t get potentially harmful medications. “It’s important for people to realize how easy it is for mistakes to get into the system and for nobody to know it. And that can cause downstream harm,” deBronkart said. 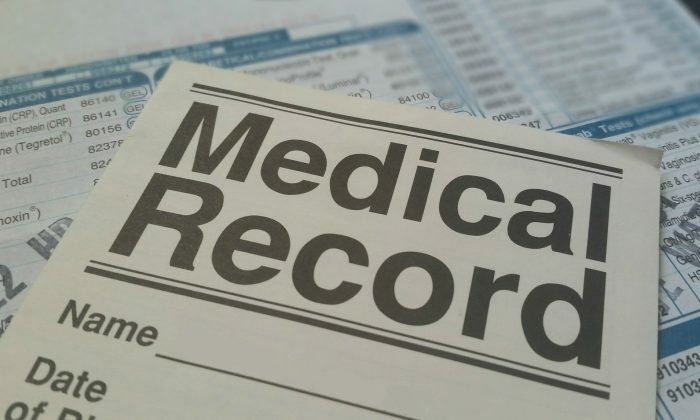 The law that guarantees your right to review your medical record, the Health Insurance Portability and Accountability Act of 1996, offers some recourse: If you think you’ve discovered an error in your medical record, you have the right to ask for a correction. Start by asking your doctor or hospital if they have a form (either a paper or electronic version) you should use to submit a suggested change. A simple error such as a wrong phone number can be corrected by drawing a thin line through the material and writing a suggested change in the margins or making an electronic note. A more complicated error such as an incorrect description of your symptoms or a diagnosis that you’re contesting may require a brief statement from you explaining what material in the record is wrong, why and how it should be altered. Physicians and hospitals are required to respond in writing within 60 days, with the possibility of a 30-day extension. Some states set shorter deadlines. Medical providers are not obligated to accept your request. If you receive a rejection, you have the right to add another statement contesting this decision to your medical record. You can also file a complaint with the government office that oversees HIPAA or a state agency that licenses physicians. Devin O’Brien, senior counsel with The Doctors Company, the largest physician-owned medical malpractice firm in the United States, notes that rejections can be warranted when facts or medical judgments are in question. An example might be a patient who wants a doctor’s notes about potentially excessive opioid use eliminated from the record. “The patient may say I don’t have a problem, I don’t know what you’re talking about, but the physician may think the patient has an issue,” O’Brien said. Another example might be a patient who wants a diagnosis eliminated from a medical record because it might compromise her ability to get insurance coverage. That wouldn’t be an acceptable reason for making a change, experts said. For more information about correcting errors in medical records, there are online guides to getting and using your medical record from the Office of the National Coordinator for Health Information Technology, and explainers from patient advocates like Trisha Torrey. You can also find descriptions of your HIPAA rights at the Privacy Rights Clearinghouse and the Center for Democracy & Technology. Judith Graham is a contributing columnist for Kaiser Health News which originally published this article. KHN’s coverage of these topics is supported by The John A. Hartford Foundation, Gordon and Betty Moore Foundation, and The SCAN Foundation. Medical errors, then, are responsible for 9.7 percent of all deaths annually—third place behind heart disease and cancer. Are Medical Errors Deadlier Than Strokes and Alzheimer’s?